IntegraBooks provides a professional bookkeeping service combined with a can-do attitude. Initial consultations are always free. Onsite and offsite bookkeeping service are offered that are suited to fit your needs using both Sage Accounting and Quickbooks accounting programs. 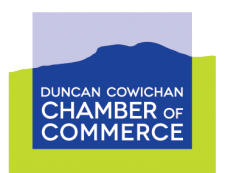 Based out of Cowichan Valley, we are able to serve our clients throughout the southern Vancouver Island region. Positive attitude combined with professional experience makes IntegraBooks the perfect choice for all your bookkeeping needs.